Voor de langetermijnbewaking van de binnenluchtkwaliteit (Indoor Air Quality): gebruik de IAQ datalogger als zelfstandige meeteenheid voor duurmetingen met de klimaatmeter testo 400. Tijdens de IAQ-meting met de stand-alone-datalogger kunt u de klimaatmeter op een andere plek gebruiken om te meten. 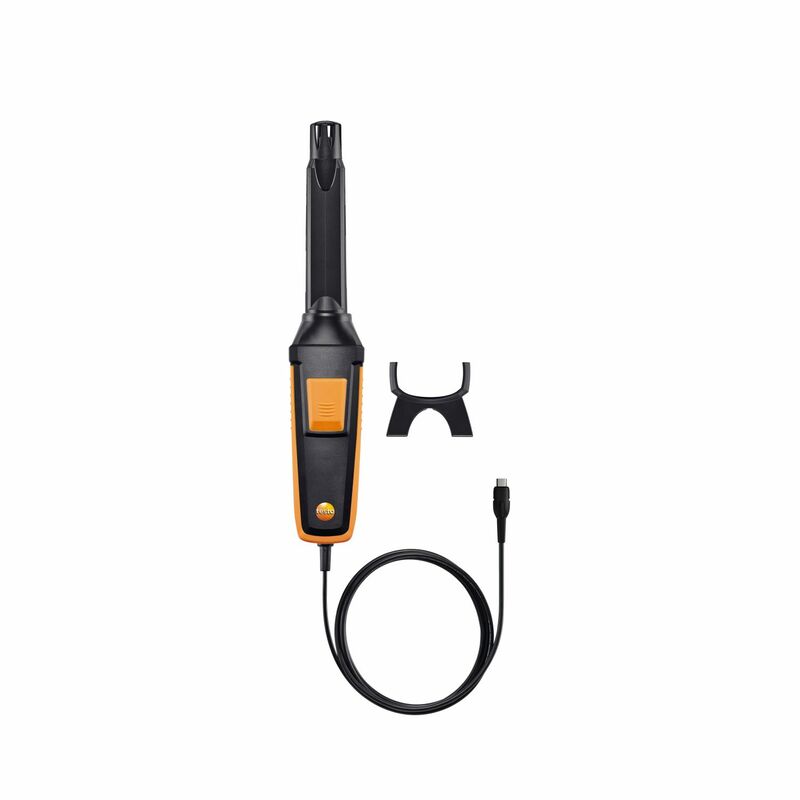 For measurements in storage, refrigeration and work rooms, in ventilation ducts and also on refrigeration systems and heat pumps: use the humidity/temperature probe (with the compatible measuring instrument) to measure relative humidity and air temperature. 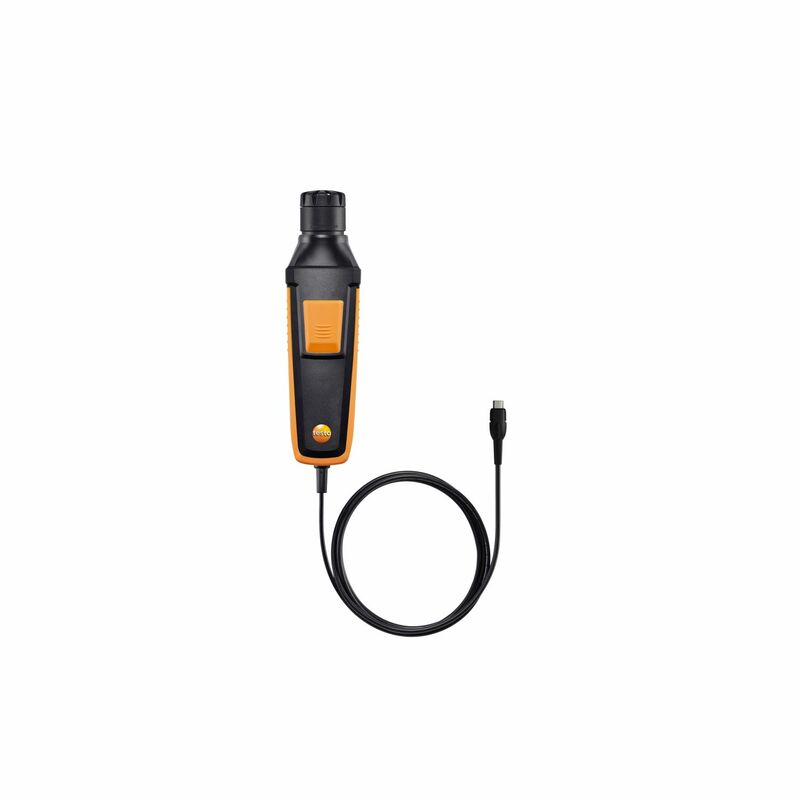 For measurements in storage, refrigeration and work rooms, in ventilation ducts and also on refrigeration systems and heat pumps: use the humidity/temperature probe (with the compatible measuring instrument) to measure relative humidity and air temperature. The readings are transmitted directly to your measuring instrument via Bluetooth, making your measurements particularly convenient. 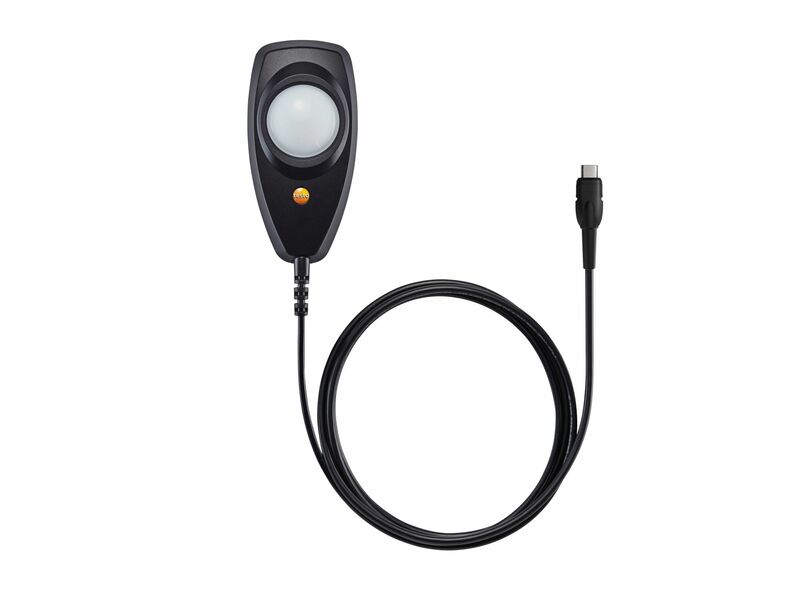 For measurements in workplaces, for example in offices or in production areas: use the lux probe (with the compatible measuring instrument) to measure illuminance. Ter beoordeling van de binnenluchtkwaliteit (Indoor Air Quality): met de sonde meet u (met het bijpassende meetinstrument) CO2-concentratie, luchtvochtigheid en luchttemperatuur. Ter beoordeling van de binnenluchtkwaliteit (Indoor Air Quality): met de sonde meet u (met het bijpassende meetinstrument) CO2-concentratie, luchtvochtigheid en luchttemperatuur. Via Bluetooth worden de meetwaarden direct naar uw meetinstrument gestuurd – zo meet u bijzonder comfortabel. 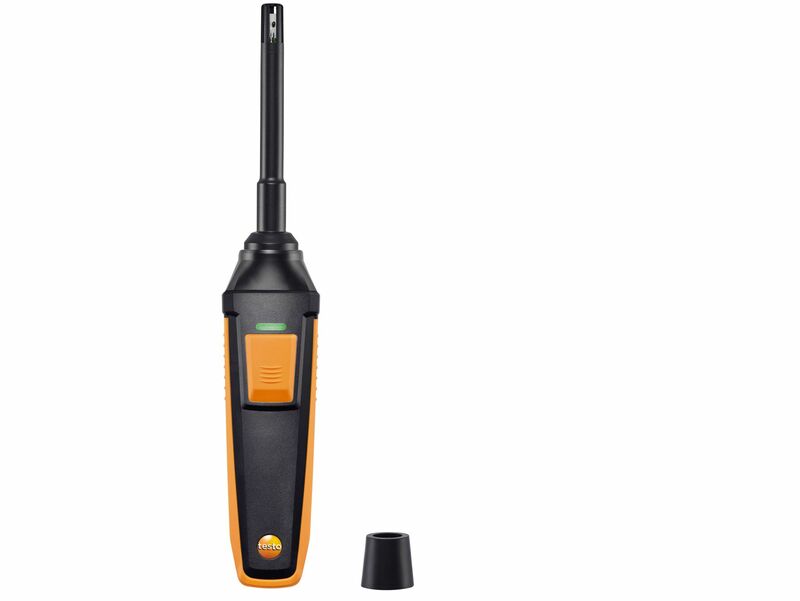 For the detection of carbon monoxide in indoor areas: use the high-precision CO probe (with the appropriate measuring instrument) to measure the CO concentration. 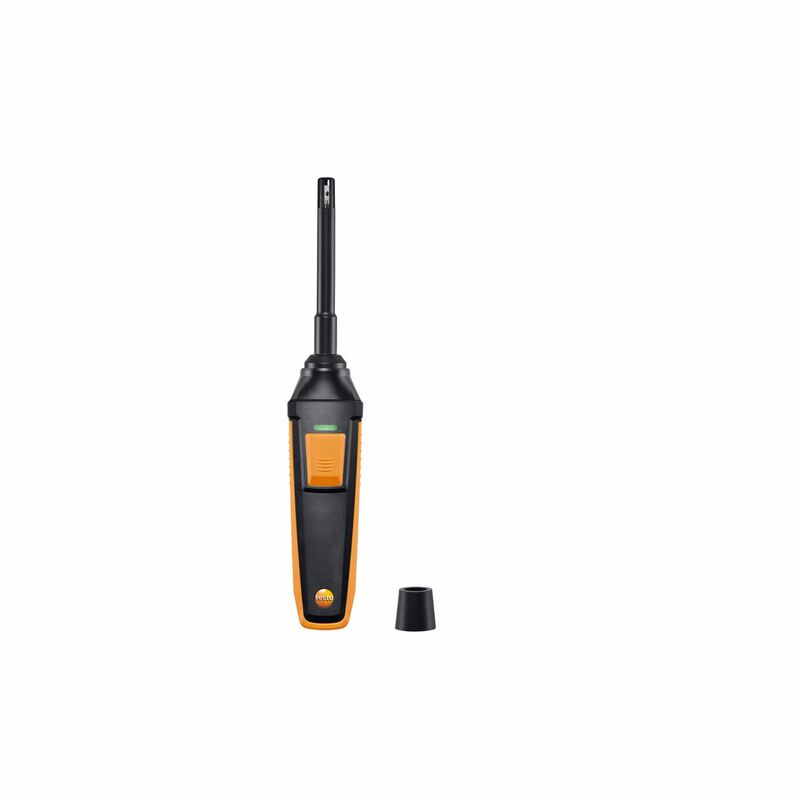 For the detection of carbon monoxide in indoor areas: use the high-precision CO probe (with the appropriate measuring instrument) to measure the CO concentration. The readings are transmitted directly to your measuring instrument via Bluetooth, making your measurements particularly convenient. 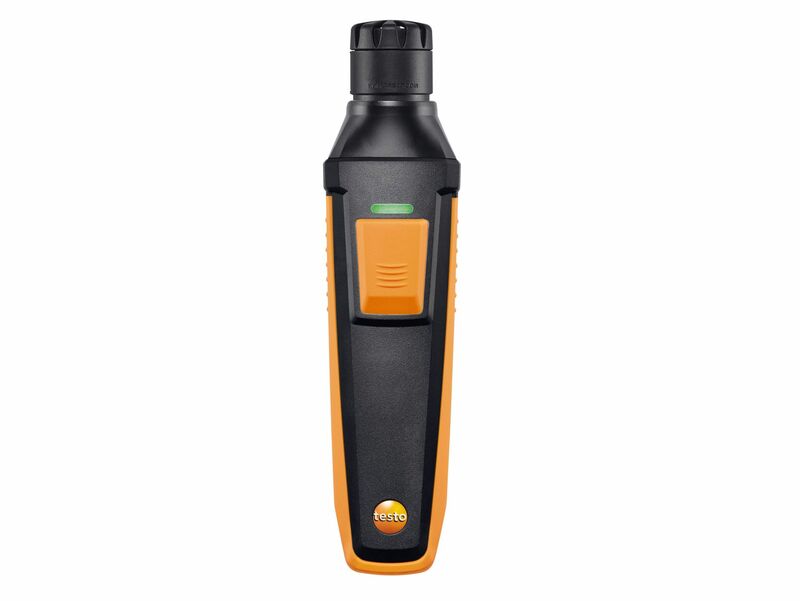 For determining the degree of turbulence and draught risk at workplaces: use the turbulence probe (with the compatible measuring instrument) to measure air velocity and air temperature. 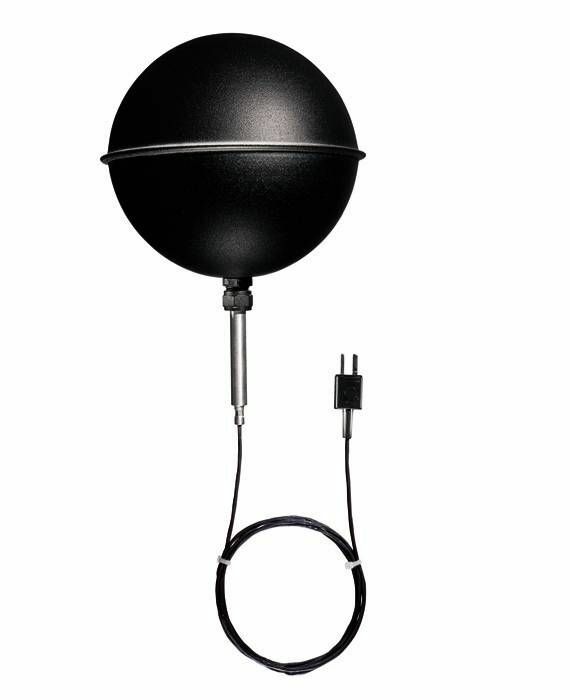 For measurements in cleanrooms and laboratories, and critical processes in the pharmaceutical, industrial and food sectors, as well as in storage, refrigerated and work rooms or in air conditioning/ventilation ducts: use the high-precision humidity/temperature probe (with the compatible measuring instrument) to measure relative humidity and air temperature. Bluetooth handle for measurements without any bothersome cables: the readings are transmitted directly to your measuring instrument via Bluetooth. Combine the handle with different probe heads (please order separately) to easily expand your portfolio of probes. 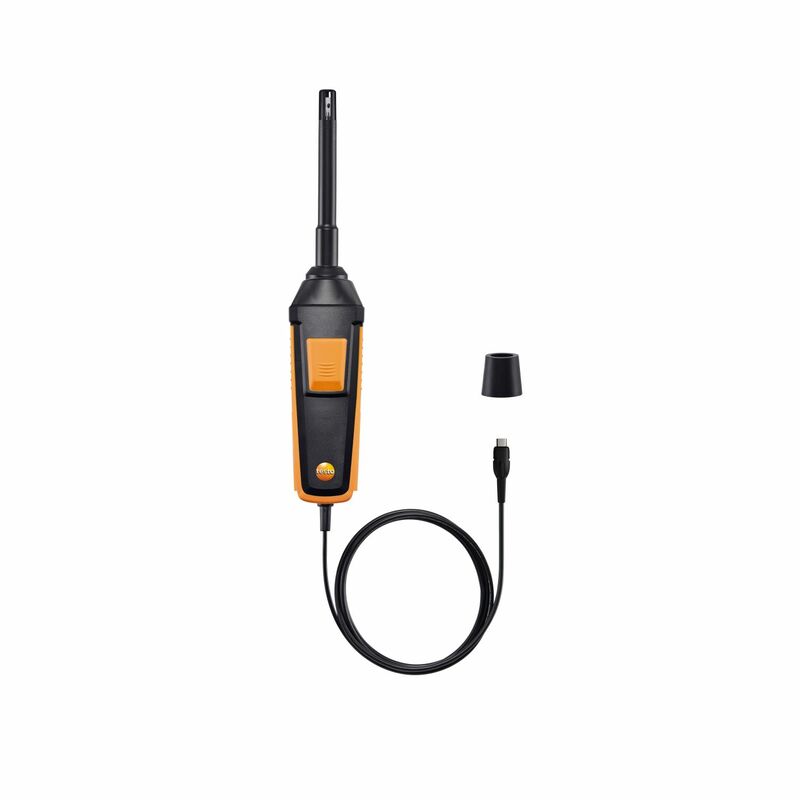 Use the cable handle if Bluetooth® signals are not permitted: the readings are transmitted to the compatible measuring instrument via the fixed cable. Combine the handle with different probe heads (please order separately) to easily expand your portfolio of probes. 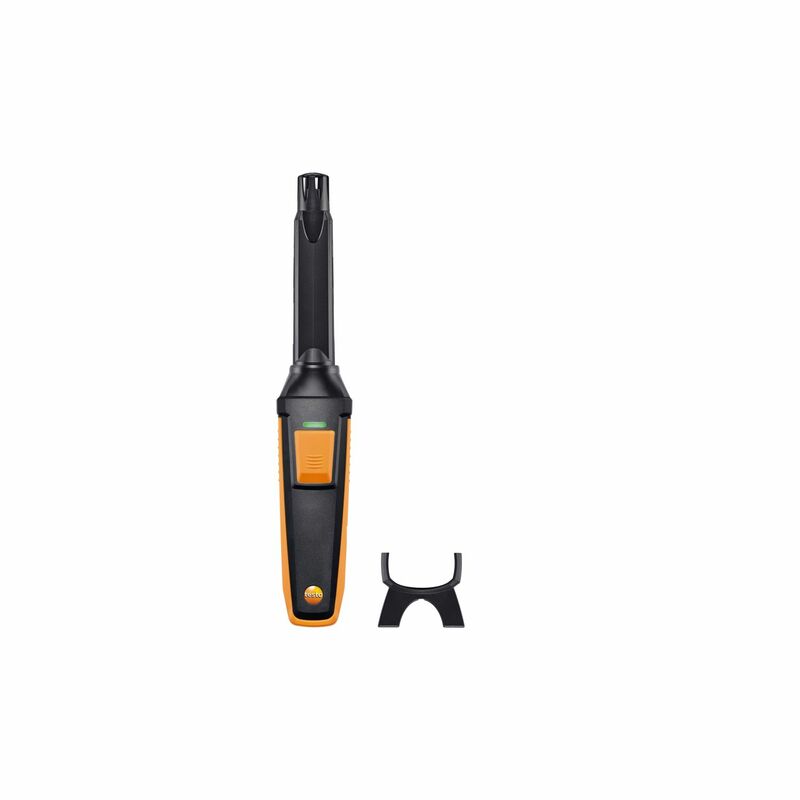 For measurements in industrial exhaust air, in bulk materials and in climatic test cabinets: use the robust humidity/temperature probe (with the compatible measuring instrument) to measure relative humidity and air temperature up to +180 °C. More applications, less equipment: if you already own one of our probes with a universal handle, you can easily expand your portfolio of probes with the CO probe head. Meer toepassingen, minder equipment: mocht u al in het bezit zijn van een van onze sondes met universele handgreep, breidt uw sondeportfolio dan heel eenvoudig uit met de CO2-sondekop. 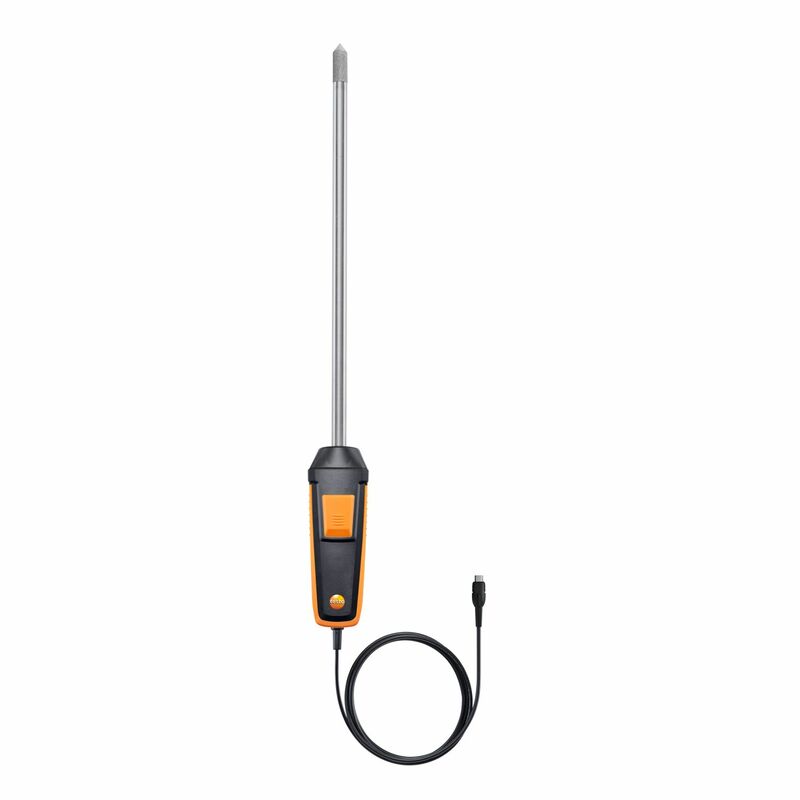 More applications, less equipment: if you already own one of our probes with a universal handle, you can easily expand your portfolio of probes with the humidity/temperature probe head. 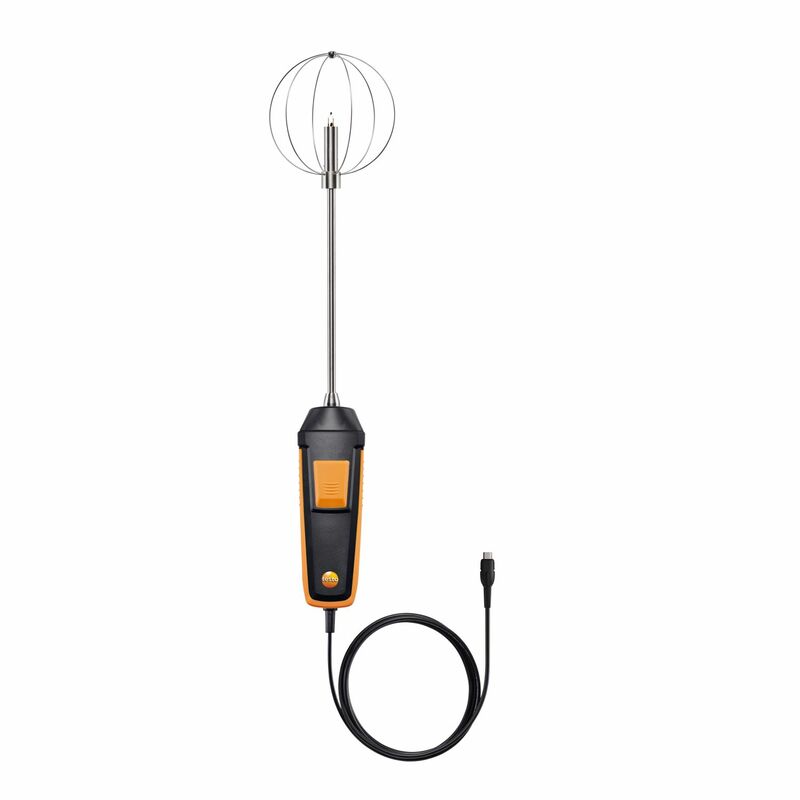 More applications, less equipment: if you already own one of our probes with a universal handle, you can easily expand your portfolio of probes with the high-precision humidity/temperature probe head.